Robert C. Bonsib has been recognized five times by the Washingtonian Magazine as One of the Top Attorneys in the Area, first in 2002 again in each of its Top Lawyer editions since 2002. In 2017 SuperLawyers named him as one of the top 100 lawyers in Maryland and also as one of the top 100 lawyers in the District of Columbia. He is a Fellow in the American College of Trial Attorneys and has an AV rating by Martindale-Hubbell. He is recognized in The Best Lawyers In America in the practice areas of White Collar Criminal Defense and Non-White Collar Criminal Defense (2006-present). 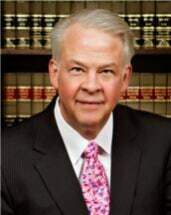 Robert C. Bonsib has over 40 years of experience in criminal practice in the local and federal trial and appellate courts in Maryland and in the District of Columbia. He has served as a state and federal prosecutor and has been in private practice as a criminal defense attorney since 1990. Robert C. Bonsib is a past chair of the Criminal Law Section of the Maryland State Bar Association and past co-chair of the Criminal Law Section of the Prince George's County Bar Association. He currently serves as a member of the Board of Directors of the Maryland Criminal Defense Attorneys Association and is co-chair of the Federal Practice Committee of the Prince George's County Bar Association. He also serves on the Prince George's County Judicial Nominating Commission and the Maryland Criminal Pattern Jury Instruction Committee. Robert C. Bonsib has been appointed on numerous occasions by the United States District Court for the District of Maryland to serve on its United States Magistrate Court Selection Committee. He was appointed by the Court of Appeals for the Fourth Circuit to serve on the selection committee for the current Federal Public Defender for the District of Maryland. He has been appointed to a number of federal and local court and bar association committees and he regularly writes articles on criminal law issues for local bar newsletters. Robert C. Bonsib lectures on criminal law to judges, prosecutors, defense lawyers and police officers.In 2009, he was invited, for the third time as the only defense lawyer to serve as an instructor at the Maryland Judicial Institute where he participated in presenting a day-long course - "Conducting the Criminal Trial" - for forty Maryland Circuit and District Court Judges.He recently presented a lecture on "Conducting Effective Cross-Examination" at the Alan Goldstein Criminal Law Seminar and is scheduled to participate in 2009 at a Federal Bar Association training program on grand jury practice. Robert C. Bonsib is experienced in handling criminal matters from the investigative stage and through the trial and appellate stages in the local and federal trial or appellate courts in Maryland and the District of Columbia. MarcusBonsib, LLC is a litigation law firm with over 100 years of litigation experience. Founded in 1990 by partners, Bruce L. Marcus, Esq. and Robert C. Bonsib, Esq., its attorneys have extensive trial and appellate experience gained as federal and state prosecutors, public defenders and as counsel to local government. They are seasoned litigators with experience in handling both complex and routine civil and criminal matters. Bruce L. Marcus, Esq. and Robert C. Bonsib, Esq. are both Fellows of the American College of Trial Attorneys and are both AV rated by Martindale-Hubbell. The Firm's attorneys are active in local and federal court and bar association activities and have been appointed by local and federal courts and by bar associations to serve on a variety of court and bar committees. From Greenbelt, MD, Robert C. Bonsib Esq., serves clients in Washington DC, Baltimore, Annapolis, Greenbelt, Bethesda, Rockville, Bowie, Upper Marlboro, Ft Washington, Hyattsville, Silver Spring, La Plata, Prince Frederick, Ellicott City, Prince Georges County (PG County), Montgomery County, Howard County, Anne Arundel County (AA County), Calvert County, Charles County, and Frederick County, Maryland.